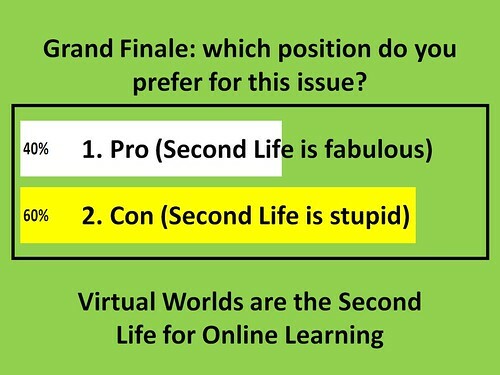 This is the first of probably three posts about the Grand Debate at the ITC eLearning 2009 Conference. This will be the most basic (just the facts, please) of the three posts. 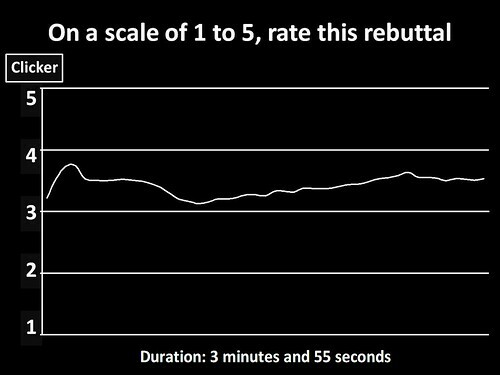 We used Turning Point clickers to measure audience reaction before, during, and after the debate. Many thanks to Turning Technologies for providing the clickers on very short notice. 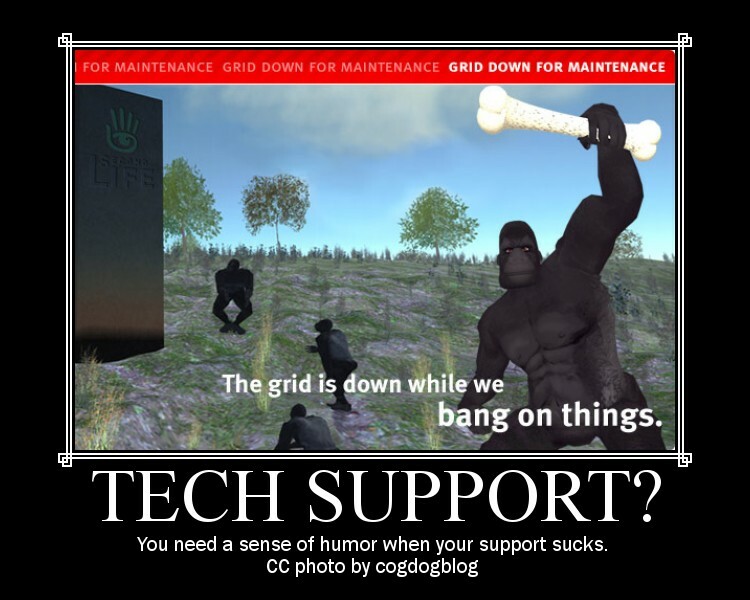 The technology worked flawlessly. Initial vote – it is a tradition at the Grand Debate to take a straw poll of audience position before beginning the debate. 294 people voted on the slide shown below, clicking either button #1 for the Pro position or button #2 for the Con position. After the coin toss by Michael Catchpole, ITC Board Member and debate moderator, Chris Collins (Fleep Tuque) made her opening statement taking the pro side of the argument (10 minutes max for openings). 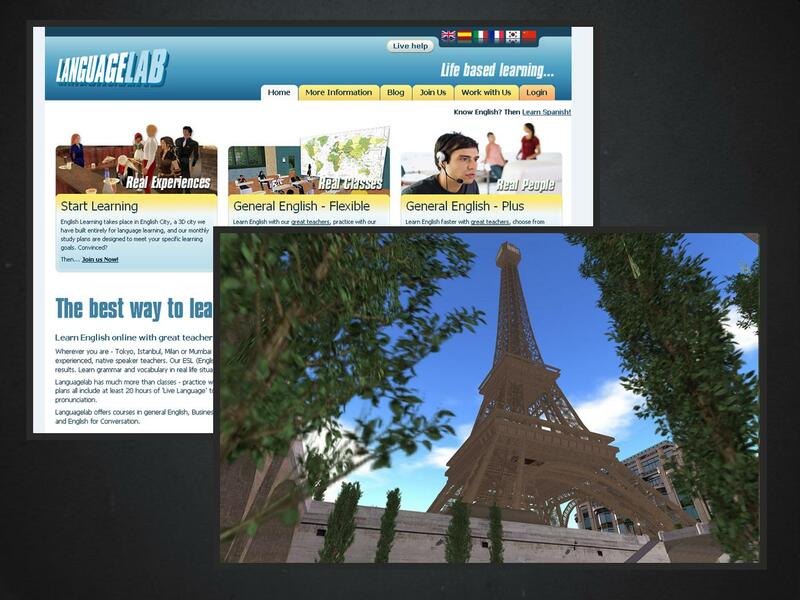 “Also, regarding the Language Lab as shown below, “They can role play; if you’ve taught a foreign language class or taken a foreign language class, you know how stilted it can be in the classroom to get students to role play with each other. What if you could take them to Paris and actually speak with native speakers of French? How much different would that learning experience be for them”? During the rebuttal sections, the audience voted with their clickers. 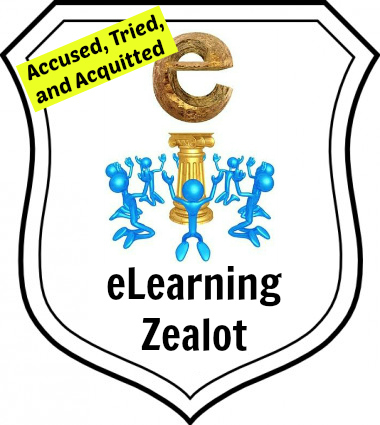 The idea was that they would give a thumps up for points that they thought were useful, powerful, or on target; and they would give a thumbs down for points that they thought were the opposite of those things. #3 on the clicker was a neutral rating, with 1 and 2 being negative and 4 and 5 being positive ratings. The line chart updates every five seconds. 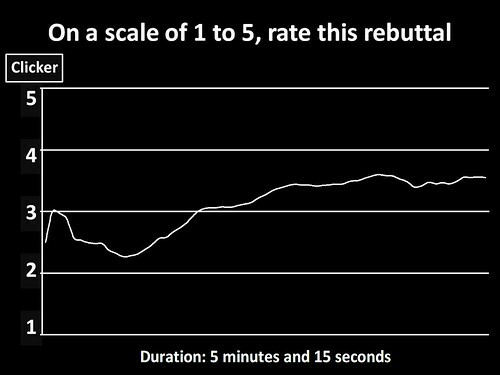 Chris’ rebuttal chart is shown below. Barry’s rebuttal chart is shown below. 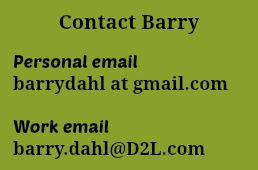 A quote from Barry’s closing argument: “I didn’t write my own closing argument, but I’d like to share with you a little piece that I found that I think will serve quite nicely. 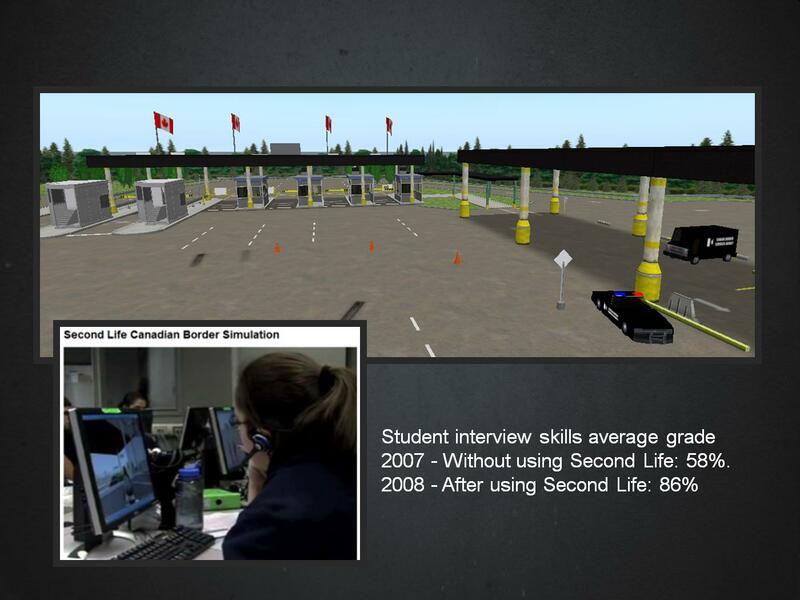 I’ll give the citation at the end.” Then I read most of the information from section 5 of the blog post titled “2008: The Year of Limits” (section 5 is titled “Limits of the Second Life platform and our current Metaverse”). Of course, at the end of the closing it was revealed that Chris/Fleep had actually written my closing argument for me, for which I will be eternally grateful. None of the votes previous to this point really mean anything at all. I always think that the slide above is the best indicator of the success of the debaters – how many people were influenced one way or the other? 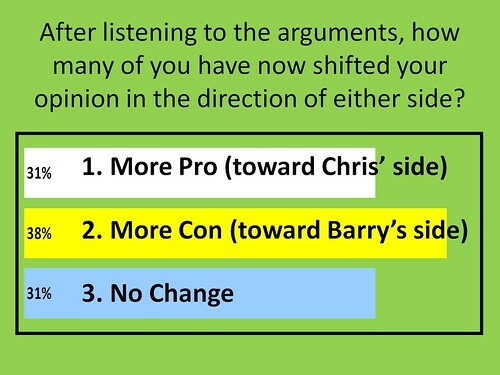 However, the debate is considered to be won or lost on the basis of the final vote, shown below. In this case, the con side did get the most votes, and more than the number cast at the pre-debate straw poll. So this time there isn’t much question about the debate winner. However, we have had the situation before where the final vote was closer than the initial vote and still the winner was crowned despite losing some of the audience support during the debate. Therefore, it is fairly easy to conclude that you want to be on the most popular side of the argument, regardless of whether you have the best points, issues, and illustrations or not. The debate did cause quite a stir, from audience reaction in the room, to tweets and live blog posts that included people in the room as well as many people not in the room. Some people really take this stuff seriously which you can get a sense of by reading the comments posted to Bryan Alexander’s live blog post about the debate. I was particularly saddened when someone who I respect and admire took shots at me for not being serious enough. I’ll talk about that more in a later post. Luckily, I did receive many favorable comments from people who were in the room. There were many first-timers in the audience who were unfamiliar with the tradition of the ITC Grand Debate at the eLearning conferences. The impression of these first-timers is most likely that the debate is not at all a serious exercise – and they’re somewhat correct in that conclusion, but not entirely correct or even close to it. There is definitely a serious nature to the debate – but we try to do it in a fun and entertaining way (this is my first and only time as a debate participant). My “performance” (please suggest a better word for that) was a bit more over the top than most. They’re usually a bit irreverent, they’re usually a bit strongly stated, and they’re oftentimes a bit snarky. In all cases my shot at it was more than just a bit of all those things. More about that in a later post when I plan to write about how I really feel about SL/VW. To end this first post, let me say that meeting Chris was really a pleasure. She is a fabulous young lady who is working on some amazing things and who has an incredibly bright future. She is a great example of the many younger people who are working so hard to reshape the way that we do education. A tip of the virtual hat to her for her participation in the debate, for her enthusiasm about the topic and about education in general, and for her very good nature and kindness. It’s great to see you reflect on this, Barry. 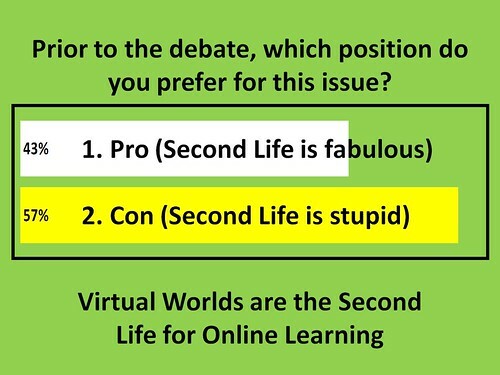 I wonder about the way we talk about Second Life, in 2009. Your rhetoric seems to win more attention that your very substantive points.